As a special Tasty Friday post, I have a fun giveaway along with a tutorial on how to paint details on molded candy. You can get yourself in the running for a copy of the new book, The Complete Photo Guide to Candy Making, and as a special treat (pun intended), I have gone through my stash of candy molds and pulled 12 candy molds to include with the book. The molds include: bunnies, zoo animals, mini teddy bears, dress-a-snowman, balloons, starfish and shells, king tut, baby bottles, stars, angels, and Winnie the Pooh. Click on this page from to enlarge and read the tutorial on how to add details to molded candy. The Complete Photo Guide to Candy Making is your go-to handbook for all things confectionery. From the author that brought you The Complete Photo Guide to Cake Decorating and The Complete Photo Guide to Cookie Decorating, this book shows you how to make the perfect candies, chocolates, chews, and caramels. For each technique, there is an overview of the tools and materials used and complete instructions with photos. The organization provides easy access to information with step-by-step directions and 650 full-color photos for clear understanding. More than 80 tried-and-true recipes allow the reader to try the techniques in each section. Whether you are looking to make gooey caramel for your pecan patties, or trying to mold the perfect chocolate truffle, author Autumn Carpenter will take you through every type of candy, with an introductory section on the basic tools, ingredients, and methods involved including: Chocolates, Brittles, Fudges, Caramels, Marshmallow, even decorations and candy clay! Autumn Carpenter is a nationally known confectionary artist, author, and demonstrator. She has published two books with Creative Publishing international: The Complete Photo Guide to Cake Decorating and The Complete Photo Guide to Cookie Decorating. Her third book, Cake, Cupcake, and Cookie Decorating with Kids will be published in November 2013. She demonstrates annually at the I.C.E.S. (International Cake Exploration Societé ) and travels across the United States, sharing the craft of cake decorating and other confectionary arts. Autumn is co-owner of a confectionary supply store, Country Kitchen SweetArt- www.shopcountrykitchen.com. Autumn also has developed a line of cookie and cake decorating tools that are distributed throughout the world. Products developed by Autumn are featured on her website www.autumncarpenter.com. I want to share the list of bloggers participating in the Map Art Lab: 52 Exciting Art Explorations in Mapmaking, Imagination, and Travel blog hop that includes lots of chances to enter to win copies of this fabulous new book, and scroll down to see how to make a personal planet. I started mine with Washi Tape states. And I thought I'd share one of the awesome projects from the book. I never thought of making a personal planet, but I think it sounds like a blast! Click on these pages from Map Art Lab to enlarge and read the full tutorial on how to make a personal planet. Here is how I started my personal planet on a lamp globe with my home state and my current state made out of washi tape. First, I printed outlines of each of the states on regular paper the size I wanted them to be. I glued wax paper over the outlines with a glue stick. Then, I covered the shapes with strips of washi tape. I held up the paper with the window behind the paper so it was super easy to see the line to cut the states out. Then I simply pealed the wax paper off the back partially on one side, keeping all the strips of tape attached to both the wax paper and the globe surface. I then kept peeling the wax paper off and pressing the tape down. This is a great idea for using those mini cookie cutters (or the mini cutters you can find in the polymer clay section) to decorate cookies or sugar eggs. It comes from the book The Complete Photo Guide to Cookie Decorating. I hope you have a fabulous Easter, decorated with all sorts of cute things! Click on this page from The Complete Photo Guide to Cookie Decorating to enlarge and read the step by step tutorial on how to decorate cookies using mini cookie cutters to cut gum paste and fondant. This richly illustrated how-to book is a comprehensive reference about various techniques for decorating cookies, including buttercream icing, rolled fondant, run sugar, painting, chocolate icing, and egg wash glaze. The clear organization provides easy access to information with step-by-step directions and 400 full-color photos. Easy projects provide fun opportunities for trying the techniques, and a gallery of beautifully decorated cookies offers examples and inspiration to pursue the hobby yourself! Autumn Carpenter is a skilled sugar artist, demonstrator, teacher, and author. She is a third generation candy maker and confectionary artist; growing up, she worked closely with her mother on books, product development, and classes. Autumn demonstrates annually at the International Cake Exploration Societé and travels the U.S. teaching her craft. She owns a retail cake and candy supply shop and lives in Fort Wayne, IN. Visit her online at http://www.autumncarpenter.com, http://www.cookiedecorating.com, and http://autumncarpenter.wordpress.com. I had such a great time at Craftcation. If you were there, I bet you did too. And if you are looking to do a great event that includes crafting classes as well as seminars on how to have a craft business, I highly recommend checking it out next year! One of the things I had the pleasure of doing, was handing the first copy of Washi Tape: 101+ Ideas for Paper Crafts, Book Arts, Fashion, Decorating, Entertaining, and Party Fun! to the author Courtney Cerruti in person! I generally just mail them out. I was also able to share it with Craftcation attendees which worked out perfectly as Scotch Brand Washi Tape was a sponsor. The hotel lobby walls were covered in big zig-zags of washi tape and I decided to cover some of our Makeready journals in the Scotch washi tape that was all over for us to play with. I worked around the line drawings on the covers and simply striped tape like this letter "M" project in Washi Tape. Washi Tape: 101+ Ideas for Paper Crafts, Book Arts, Fashion, Decorating, Entertaining, and Party Fun! If you have never heard of washi tape, get ready to enter a bright new world of paper crafts! Originating in Japan, washi paper is stronger than wood-pulp paper making it perfect for use in projects like origami and scrapbooking. The tape is low tack and slightly transparent, and add in a mix of adorable colors and patterns, a brilliant way to make all of your crafts even better. Perfect to use for parties. See how to create invitations, gift wrap, and goodie bags. Holidays have never been more colorful with ideas for ornaments, window adornments, and even garland. 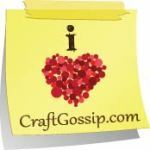 Decorations for your home and office are easy and inexpensive when you use washi tape. Wall décor, borders and lampshades can become unique works of art and give your home a personal touch. You can even use washi tape in fashion. Dress up your glasses, shoes and jewelry using these simple ideas and designs. And because it’s safe to use on delicate items, washi tape is great for personalized gifts like vases and photo albums. Washi Tape by Courtney Cerruti offers 101 amazing ideas that will make this new craft tape your new favorite thing. It’s safe to use almost anywhere and great fun for children! Maker extraordinaire, Courtney Cerruti (ccerruti.com) teaches at the San Francisco Center for the Book, and online at Creativebug.com. She studied painting at UC Santa Cruz and the University of Bordeaux in Bordeaux, France where she had her first exhibition and hosted many book making parties. In addition to teaching, Courtney is a freelance artist and avid instagrammer and pinner (on pineterest). In a previous life she did windows and display at Anthropologie as well as teaching and working at Paper Source. She makes something everyday and works mostly doing windows, wedding installations and set design. She is the author of Quarry’s Playing with Image Transfers. About washi tape she says: “I’m obsessed with washi tape. It’s funny that you may never have heard of it, because once I discovered it, I couldn’t stop using it, and now it pops up in almost all of my work. I’m a self-proclaimed converter. If you take any one of my workshops, you will use washi tape and then you’ll go directly to the nearest store and buy it! It’s that awesome.